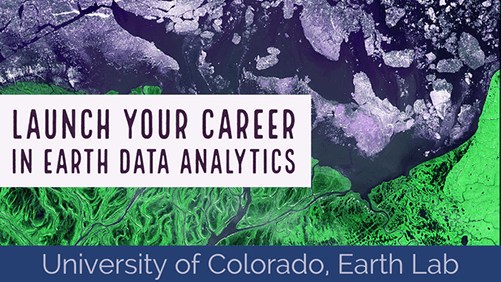 Use the tidytext package in R to filter social media data by date. 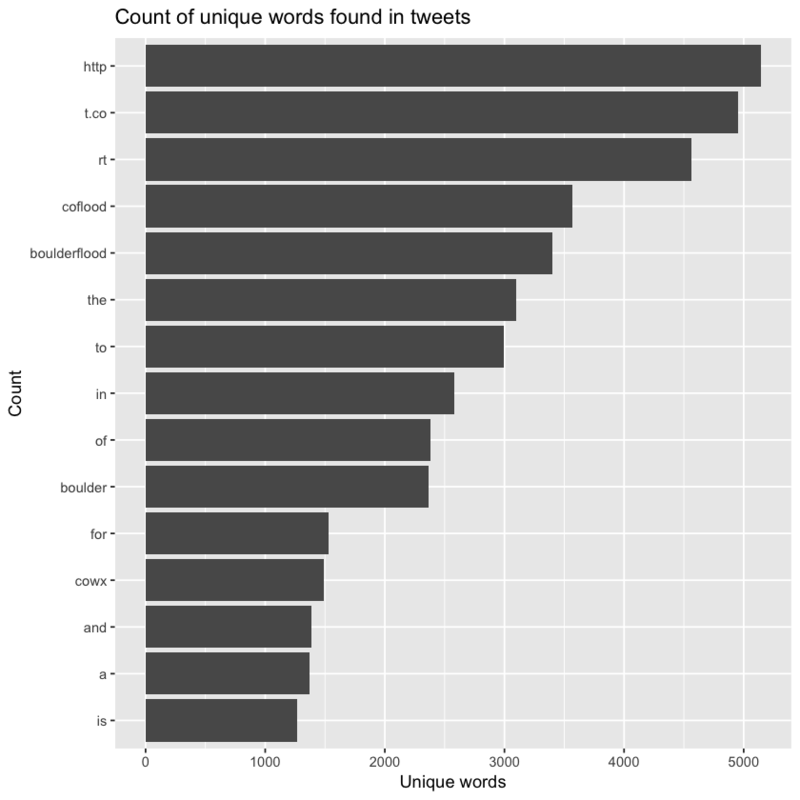 Use the tidytext package in R to text mine social media data. In the previous lesson you learned the basics of preparing social media data for analysis and using tidytext to analyze tweets. In this lesson you will learn to use tidytext to text mine tweets and filter them by date. The structure of twitter data is complex. In this lesson you will only work with the text data of tweets even though there is much more information that you could analyze. # plotting and pipes - tidyverse! ## opening fileconnectionoldClass input connection. ## closing fileconnectionoldClass input connection. for each tweet in the imported json file. ##  "lilcakes3209"    "coloradowx"      "ChelseaHider"    "jpreyes"
## 5                                                          Happy New Year #Boulder !!!! What are some of your New Years resolutions this year? Next, clean up the data so that you can work with it. 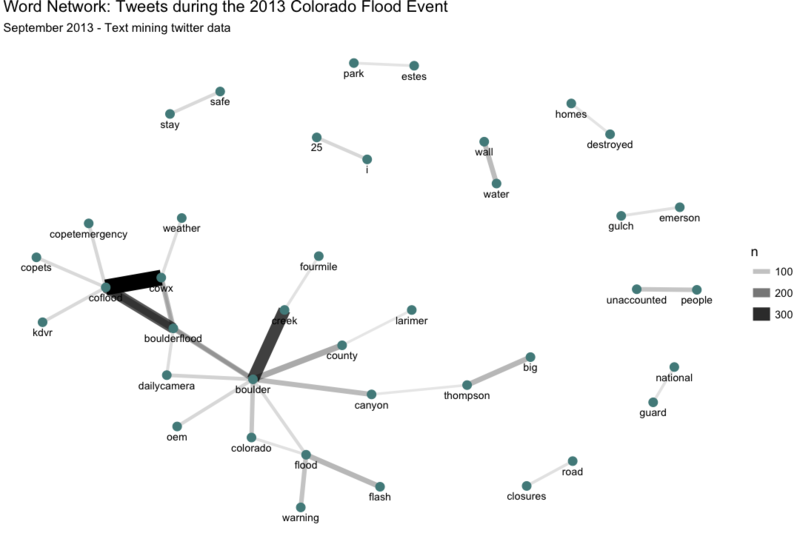 According to the incident report, the Colorado flood officially started September 09 2013 and ended on the 24th. convert the date column to a R date / time field. filter by the dates when the flood occured. 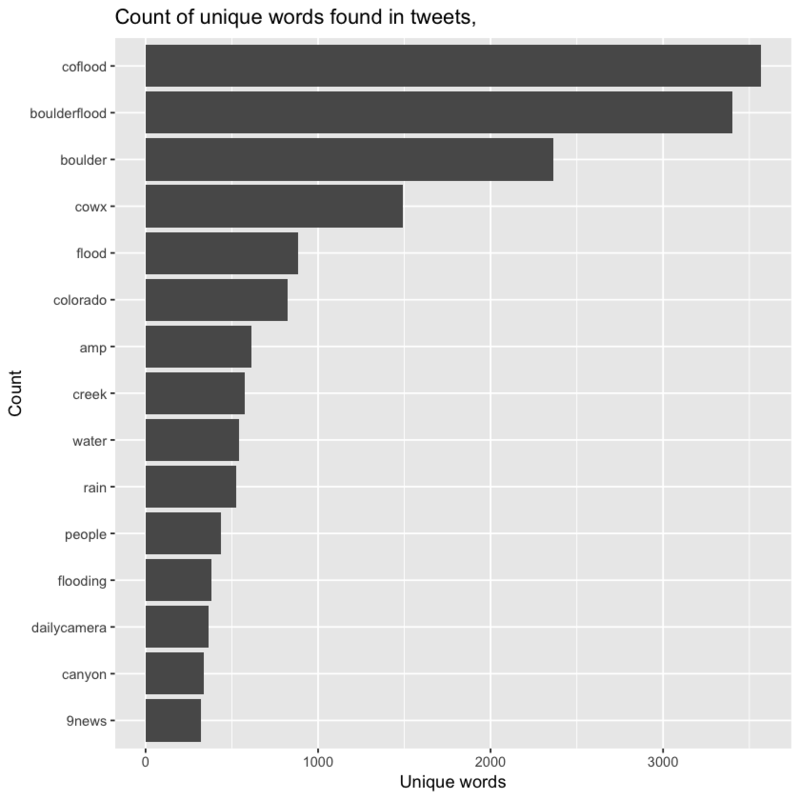 Next let’s explore the content of the tweets using some basic text mining approaches. Text mining refers to looking for patters in blocks of text. stack the words so you can group and count them. 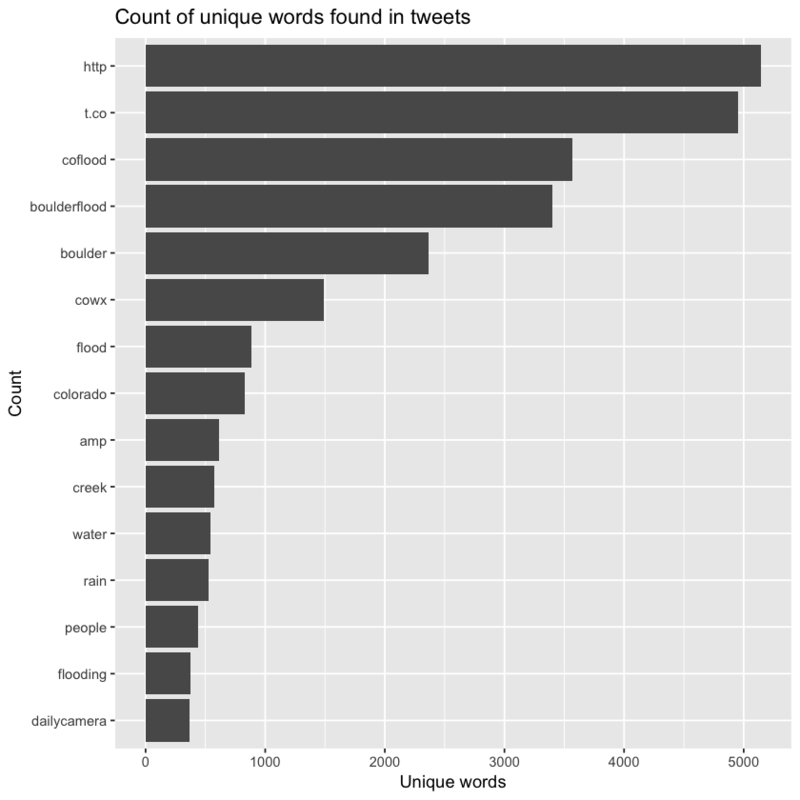 Next, plot the top 15 words found in the tweet text. What do you notice about the plot below? The plot above contains “stop words”. If you recall from the previous lesson, these are words like and, in and of that aren’t useful to us in an analysis of commonly used words. Rather, you’d like to focus on analysis on words that describe the flood event itself. As you did in the previous lesson, you can remove those words using the list of stop_words provided by the tm package. # how many words do you have including the stop words? ## Joining, by = "word"
# how many words after removing the stop words? Notice that before removing the stop words, you have 151536 rows or words in your data. After removing the stop words you have, 95740 words. Once you’ve removed the stop words, you can plot the top 15 words again. # plot the top 15 words -- notice any issues? Finally, notice that http is the top word in the plot above. Let’s remove all links from your data using a regular expression. Then you can recreate all of the cleanup that you performed above, using one pipe. To remove all url’s you can use the expression below. As you did in the previous text mining introductory lesson, you can do a paired words analysis to better understand which words are most often being used together. Separate the words into columns and count the unique combinations of words. Finally, plot the word network. Note that “http” is still a value that appears in your word analysis. You likely need to do a bit more cleaning to complete this analysis! The next step might be a sentiment analysis. This analysis would attempt to capture the general mood of the social media posts during and after the flood events. While this is beyond the scope of the class, the tidytextmining book link above has a very useful section on this topic. In the next lesson, you will will take the tweet location data and create an interactive map. Tidy text mining e-book is a great resource for text mining in R.